Rely on EMS and ensure the success of your mobilizations to Colombia. EMS offers complete relocation services to Colombia and counts on a specialized team of lawyers that will assist on handling all immigration and tax matters to Bogota. According to the study “Doing Business” of the World Bank, Colombia is the third most business-friendly country in Latin America. With the third largest population in Latin America, Colombia has a dynamic domestic economy with access to international markets and a privileged geographical location. 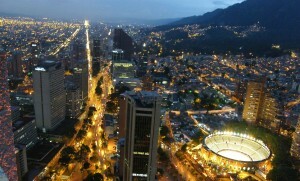 Colombia has become throughout recent years an attractive market for international companies. At EMS we ensure that our clients are able to transfer their relocating employees quickly and efficiently. Our local team provides a wealth of experience and on the ground support. EMS is able to assist throughout the entire relocation process from assistance with local immigration legislation to guidance during the settling-in and home search process. We are able to assist with relocating both inbound and outbound employees in various locations in Colombia. EMS also offers immigration and relocation services throughout Latin America and worldwide, currently serving over 85 countries main EMS locations function as regional headquarters to other countries. For more information about our employee Colombia relocation services, tax and immigration solutions contact us online or contact EMS Sales Department Americas at +1 (305) 251 0069.